Delivery shall be deemed to have been made by You to Unique Solutions Inc ---- RV Products Group five (5) days after the date sent. All brand, product, service, and process names appearing on this Web site are trademarks of their respective holders. Reference to or use of a product, service, or process does not imply recommendation, approval, affiliation, or sponsorship of that product, service, or process by Unique Solutions Inc ---- RV Products Group. Nothing contained herein shall be construed as conferring by implication, estoppel, or otherwise any license or right under any patent, copyright, trademark, or other intellectual property right of Unique Solutions Inc ---- RV Products Group or any third party, except as expressly granted herein. This site may contain other proprietary notices and copyright information, the terms of which must be observed and followed. Information on this site may contain technical inaccuracies or typographical errors. Information, including product pricing and availability, may be changed or updated without notice. Unique Solutions Inc ---- RV Products Group and its subsidiaries reserve the right to refuse service, terminate accounts, and/or cancel orders in its discretion, including, without limitation, if Unique Solutions Inc ---- RV Products Group believes that customer conduct violates applicable law or is harmful to the interests of Unique Solutions Inc ---- RV Products Group and its subsidiaries. Registration is not required to gain access to the Site or to place an order. However, there are sections of the web site which do require a password, some examples include My Account, View Order History, and Account Profile. When you visit our Site, some information such as your Internet protocol address, Internet service provider, the Site from which you arrived, and the time and date of your visit may be collected automatically as part of the software operation of this Site. This intake of information is not personally identifiable. Unique Solutions Inc ---- RV Products Group uses this information solely for authentication and validity of purchase during the purchasing process. For example, to determine if the credit card you are using is registered in the same country as the IP address you are accessing from. Repeated fraud offenders will be tagged and black listed from this site. This information is not kept in any means that allows Unique Solutions Inc ---- RV Products Group or others to use it for identification to a person purposes. Any time Unique Solutions Inc ---- RV Products Group collects information that you voluntarily submit, it is Unique Solutions Inc ---- RV Products Group's intent to inform you of why this information is being requested and how it is going to be used. We may collect personal information from you including phone, electronic mail address, and other information you choose to provide at various times, for example, when you complete your registration or purchase from the shopping cart. Unique Solutions Inc ---- RV Products Group intends to protect and secure the personal information that you submit to this Site. Unique Solutions Inc ---- RV Products Group will not sell, distribute, or give your personal information to any third party without your knowledge and consent. Unique Solutions Inc ---- RV Products Group shall not be liable for any personal information that you submit to external vendors or to any web site linked to this Site. It is Unique Solutions Inc ---- RV Products Group's intent to guard any personal information that you submit to us, and Unique Solutions Inc ---- RV Products Group will continue to take steps to maintain the security of this Site. However, the Internet is a public domain data pipe. Any information you submit when the SSL certificate symbol is not present is subject to information scrapping by third parties. Unique Solutions Inc ---- RV Products Group will not be held liable for any such information scrapping. 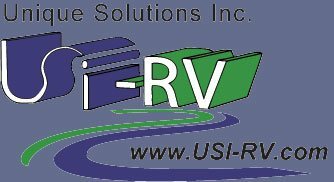 Unique Solutions Inc ---- RV Products Group has implemented SSL security on all screens that collect sensitive information. At this time, Unique Solutions Inc ---- RV Products Group ships merchandise to locations within the United States and U.S. territories, including Alaska, Hawaii, Puerto Rico, Guam, and the US Virgin Islands. Additionally, Unique Solutions Inc ---- RV Products Group ships merchandise to Canada and Mexico, but not to other international locations. The risk of loss and title for all merchandise ordered on this Web site pass to you when the merchandise is delivered to the shipping carrier. Shipping laws are different in each country. It is your responsibility to check with your Customs office to verify whether the country to which you are shipping permits the shipment of your products. Unique Solutions Inc ---- RV Products Group is not responsible for any direct, indirect, punitive, or consequential damages that arise from improper international shipping practices. Unique Solutions Inc ---- RV Products Group charges sales tax for merchandise ordered on this Web site based on the applicable state sales tax rate and the location to which the order is being shipped. Sales shipping or billed to the state of Illinois or Michigan will have sales tax added. Disclaimer. Products by Unique Solutions Inc ---- RV Products Group are engineered to exacting standards using high quality components. The full benefit and safety of the Unique Solutions Inc ---- RV Products Group product implementation is dependent on the quality of installation and proper use by the RV occupants. Unique Solutions Inc ---- RV Products Group will not be held liable for any damages, direct or consequential, related to the implementation of Unique Solutions Inc ---- RV Products Group ideas or products. Figures and references to figures contained in Unique Solutions Inc ---- RV Products Group products are based on averages and may not match your specific usage patterns. All calculations are known to Unique Solutions Inc ---- RV Products Group to be accurate; however, they are subject to change as deemed by Unique Solutions Inc ---- RV Products Group . The Content included in this Web site has been compiled from a variety of sources and is subject to change without notice as are any products, programs, offerings, or technical information described in this Web site. Unique Solutions Inc ---- RV Products Group makes no representation or warranty whatsoever regarding the completeness, quality, or adequacy of the Web site or Content, or the suitability, functionality, or operation of this Web site or its Content. By using this Web site, you assume the risk that the Content on this Web site may be inaccurate, incomplete, offensive, or may not meet your needs and requirements. Unique Solutions Inc ---- RV Products Group SPECIFICALLY DISCLAIMS ALL WARRANTIES, EXPRESS OR IMPLIED, INCLUDING WITHOUT LIMITATION THE WARRANTIES OF MERCHANTABILITY, FITNESS FOR A PARTICULAR PURPOSE, AND NONINFRINGEMENT WITH RESPECT TO THESE WEB PAGES AND CONTENT. IN NO EVENT WILL Unique Solutions Inc ---- RV Products Group BE LIABLE FOR ANY SPECIAL, INDIRECT, INCIDENTAL, OR CONSEQUENTIAL DAMAGES EVEN IF COMPANY HAS BEEN ADVISED OF THE POSSIBILITY OF SUCH DAMAGES. The information and content on this server is provided "as is" with no warranty of any kind, either express or implied, including but not limited to the implied warranties of merchantability, fitness for a particular purpose, and non-infringement. Any warranty that is provided in connection with any of the products and services described on this Web site is provided by the advertiser or manufacturer only, and not by Unique Solutions Inc ---- RV Products Group. The references and descriptions of products or services within the Web site materials are provided "as is" without any warranty of any kind, either express or implied. Unique Solutions Inc ---- RV Products Group is not liable for any damages, including any consequential damages, of any kind that may result to the user from the use of the materials on this Web site or of any of the products or services described hereon. The descriptions of, and references to, products, services and companies on this Web site are the sole responsibility of the companies providing the information ("advertisers"), and not Unique Solutions Inc ---- RV Products Group. The inclusion of material on this server does not imply any endorsement by Unique Solutions Inc ---- RV Products Group, which makes no warranty of any kind with respect to the subject matter of the server materials advertised. A possibility exists that the server materials could include inaccuracies or errors. Additionally, a possibility exists that unauthorized additions, deletions, and alterations could be made by third parties to the server materials. Although Unique Solutions Inc ---- RV Products Group tries to ensure the integrity and the accurateness of the server materials, it makes no guarantees about their correctness or accuracy. Before relying on any representation made in any of the server materials, check with the advertiser of the product or service to ensure that the information you are relying upon is correct. You may purchase merchandise from this Web site by using any one of the payment options listed in payment options during shopping cart checkout. Unique Solutions Inc ---- RV Products Group reserves the right to change its payment procedures at any time without prior notice to you. Unique Solutions Inc ---- RV Products Group will accept returns within 30 days of purchase with a return authorization code. No returns will be accepted for downloaded products or products without a return authorization code. Refunds are subject to condition of returned product and up-to a 15% restocking fee. Purchaser is responsible for return shipping. Although the information on this Web site is accessible worldwide, not all products or services discussed in this Web site are available to all persons or in all geographic locations or jurisdictions. Unique Solutions Inc ---- RV Products Group and the advertisers each reserve the right to limit the provision of their products or services to any person, geographic area, or jurisdiction they so desire and to limit the quantities of any products or services that they provide. Any offer for any product or service made in the materials on this Web site is void where prohibited. GOVERNING LAW: In the event of litigation both parties agree that the Law of the State of business registration of Unique Solutions Inc ---- RV Products Group shall apply and both parties shall consent to the jurisdiction of said State's courts, or in the event of diversity of citizenship, the United States District Court for the (District). Both parties expressly waive a trial by jury. MISCELLANEOUS: The Terms and Conditions constitute the entire agreement between you and Unique Solutions Inc ---- RV Products Group with respect to this Web site. The Terms and Conditions supercede all prior or contemporaneous communications and proposals, whether electronic, oral or written between you and Unique Solutions Inc ---- RV Products Group with respect to this Web site. No modification of the Terms and Conditions shall be effective unless it is authorized by Unique Solutions Inc ---- RV Products Group. If any provision of the Terms and Conditions is found to be contrary to law, then such provision(s) shall be constructed in a manner to closely reflect, as much as possible, the intentions of the parties, with the other provisions remaining in full force and effect.